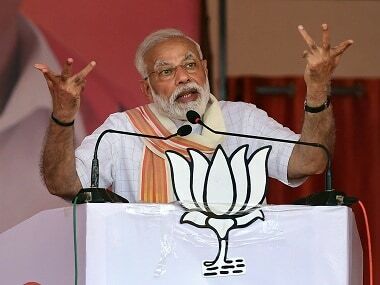 Gandhinagar: With assembly elections round the corner, Gujarat's ruling BJP on Wednesday extended an olive branch to the agitating Patidar leaders, calling them for a meeting next week to discuss their demand for reservations in government jobs and educational institutions. Deputy chief minister Nitin Patel, who was heading a panel of ministers to interface with the Patidar (or Patel) leaders, has invited pro-quota Patel leaders for talks on 26 September, according to official sources. The moves comes less than a week after a successful three-day state-wide vehicle procession of the Patidars, led by Patidar Anamat Andolan Samiti (PAAS) spearhead Hardik Patel, from Ahmedabad to Somnath. The procession coincided with a Narmada rath yatra organized by the Bharatiya Janata Party (BJP) with 85 chariots moving across the state, which met with protest demonstrations at several places. On the other hand, the Hardik Patel show drew more crowds. The Patidars also organized a massive public rally recently during the Ganesh festival. 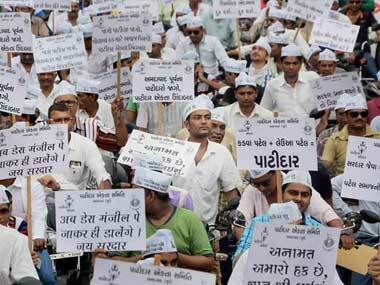 Patel has already announced that the Patidars would support the opposition Congress in the December elections. 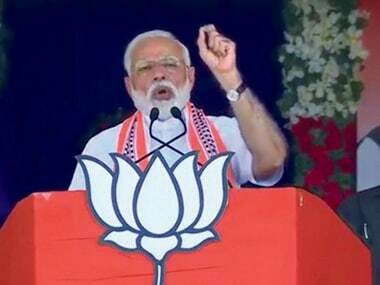 The community, which comprises nearly 14 percent of Gujarat's population, had voted heavily against the ruling BJP during December 2015 elections to the district and taluka (tehsil) panchayats and the results were a shocker for the ruling dispensation. Sources said, that realising that it was vital to keep the Patels, which have all along been the political and economic backbone of the BJP in Gujarat, the deputy chief minister has now invited nearly 100 Patidar leaders who represent various outfits of Patel community, including Hardik Patel-led PAAS. Apart from Nitin Patel, Gujarat BJP president Jitu Vaghani, who is also a Patidar like Nitin Patel, and other senior BJP leaders are expected to remain present during the discussions with the Patel leaders, an official press release stated on Thursday. Apart from PAAS conveners, office-bearers of six other organisations of the community, including Umiya Mata Trust, Unjha, Khodaldham Trust, Kagvad, Rajkot Umiya Mata Mandir, Patidar Samaj Surat, Sardardham - Ahmedabad and Vishwa Umiya Foundation have been invited for talks. 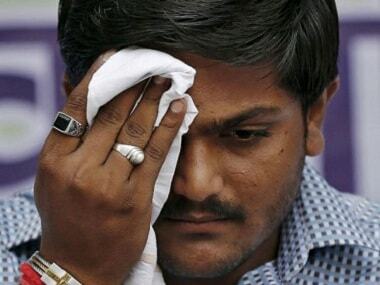 Hardik Patel could not be contacted to ask if he or any of the PAAS representatives would attend the meeting convened by the state government after long. Similar meetings in the past had remained inconclusive since the agitating Patels would not settle for anything less than their inclusion among the Other Backward Classes (OBC), who enjoy 27 percent reservation.